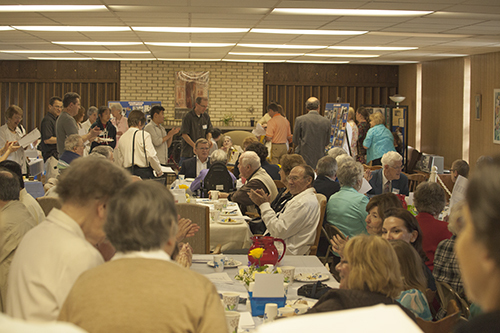 On Sunday, June 9 from 2-5 pm, a large group of friends and family of Sister Anne gathered in the Community hospitality room to celebrate her long and fruitful life. 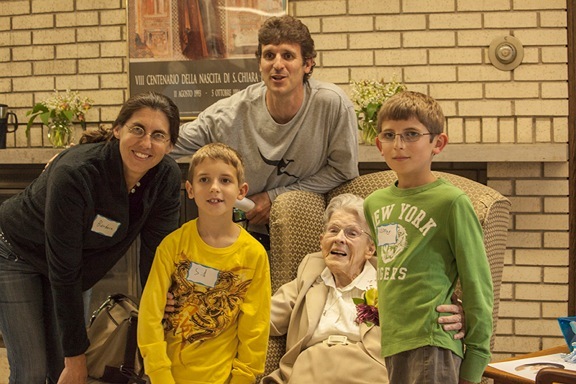 Sr. Anne was born in 1913, raised in St. Paul, educated by the Sisters of St. Joseph and entered the Poor Clare Monastery in Sauk Rapids, MN in 1931. 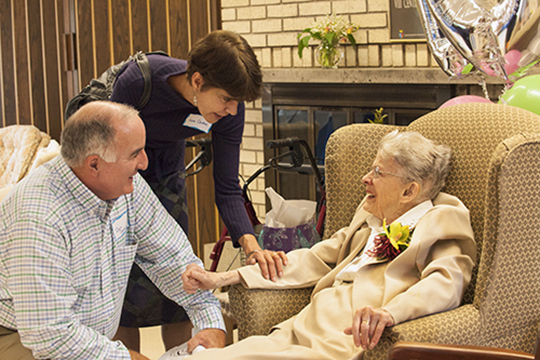 She and a small group of Sisters at the request of Archbishop Burne began a Community of Poor Clares here in Bloomington in 1954. Sister Anne was active in the beginning of the Federation of Poor Clares in the United States and served two terms on the Council. 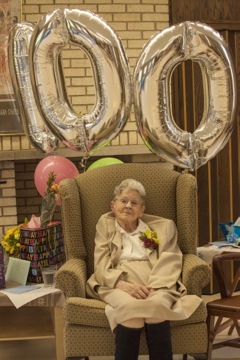 In the 60’s she was instrumental in developing a program for contemplative Sisters at St. Teresa’s College, Winona, Mn. following on the directives of the Second Vatican Council. Sister Anne received a degree in French during her time at the college. Meanwhile Korean Sisters were arriving for formation and some of the Bloomington Sisters were studying Korean preparing for the first Poor Clare foundation in South Korea. Among her many contributions to life and liturgy here at the monastery are her beautiful weavings which grace the walls of our chapel for all the different seasons of the year. 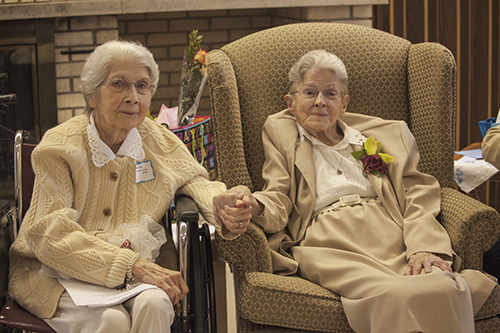 Sister of St. Joseph, Catherine Jenkins, is pictured here with Sister Anne. Nieces and nephews came as far away as Florida and Alaska to celebrate with Sister Anne. Young and old enjoyed the party.